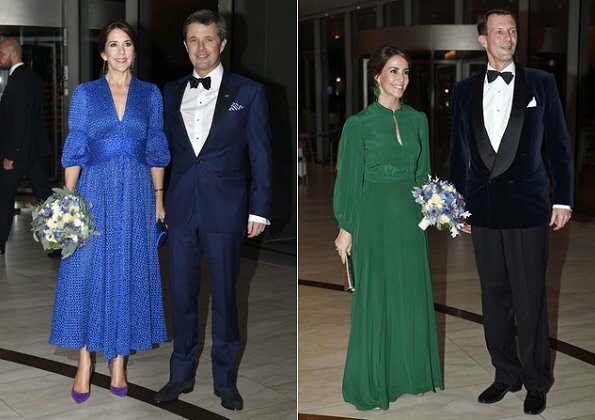 On October 10, 2018, Queen Margrethe II, Crown Prince Frederik, Crown Princess Mary, Prince Joachim, Princess Marie and Princess Benedikte of Denmark attended a gala performance at The Opera in Copenhagen, held to celebrate 100th anniversary of independence of Iceland. 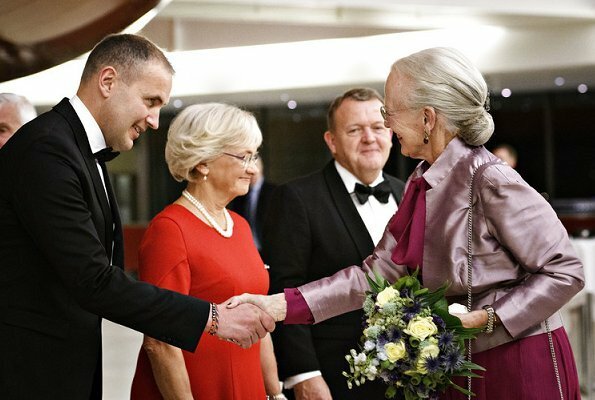 During the event held by the government and the Parliament, Danish and Icelander artists performed. Oh gosh a total fail for CPM. Awful fabric, style and colour on her. Worst I have ever seen her look. I was wondering whether there is a bit OR quite a lot of exageration in this comment. There is no exaggeration in the above comment, imo. Mary looks atrocious in that dress. Shiny fabric with awful pattern, looks like cheap polyester. 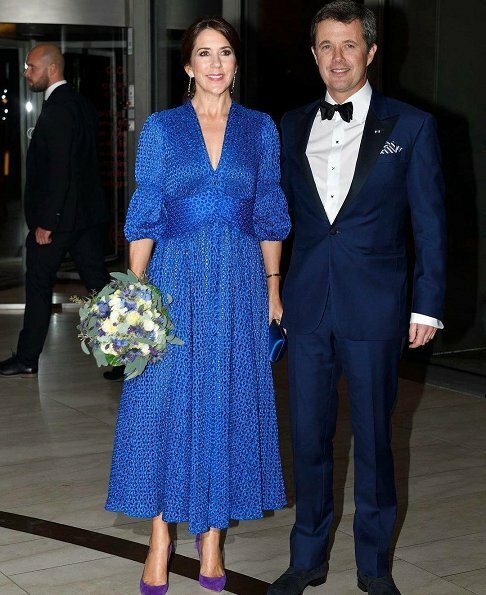 Length and silhouette are totally unflattering, the style looks both dated and it is aging her, it´s indeed a granny-dress as someone has remarked. The purple shoes look totally random with it. Marie on the other hand looks like a million dollars, and so does Benedikte. I quite like the queen´s outfit too, but I agree that the white stockings weren´t a good choice. agree. I am cringing to see the 80s (And late 70s?) back in such a huge way. The older women who lived through those fads back then as adults seem to know best now to avoid it. Cringing big time at Mary and Marie. And I am *Almost* in love with Marie's dress -- it gets so very much right, but the high neck and sleeves are a no from me. Mary's look is ....best forgotten. Love the green dress on Marie, i think she is winner here. Marie looks gorgeous in dark green. Don't like Mary's dress. Ugly shade of blue; odd print and style. Its agening her. The Queen's dress and jacket are beautiful match and Marie is very elegant in green. Agree, I didn't like the stockings, but I praised her combination of dress and jacket worn together. No no Mary! And purple shoes with that blue dress, no again! Mary dress is in that popular 'Granny-style' …… and Mary is following the fashion as always! The Queen looks a little bit theatrical with the white stockings, IMO. Marie wins this time . She looks stunning. Monsieur Dior hätte seine Freude an CP Mary. Wunderbares Kleid in einer tollen Länge à la 50ies. Die Schuhwahl sorgt für das gewisse Extra und zeigen den Modeverstand der Kronprinzessin. Königin Margrethe sieht sehr gut aus, und die Strümpfe sind ihr 'signature piece'. Marie macht in flaschengrün natürlich nichts falsch. Benedicte elegant wie stets. Nur hätte ich mir hier eine andere Länge gewünscht. Bei geradem Schnitt ist die 7/8 Länge nicht ganz so vorteilhaft. Die Herren sehen auch nice aus. I my view there´s nothing 50s about Mary´s dress. It´s a 70s/80s monstrosity. And the winner is Marie, she looks so feminine and beautiful in this dress. I don't like Marys dress but it's a wow with purple shoes. 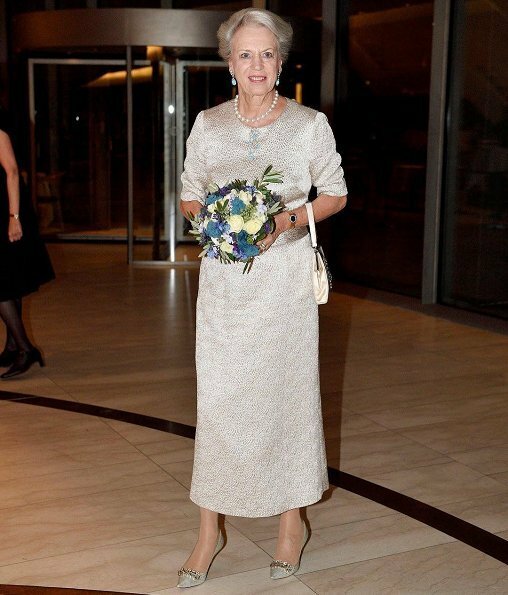 Princess Benedikte looked amazing. Her color/clothing choices are always spot on. Lovely woman. All the Ladies look fantastic. Could not do better myself. Wrong green colour on Marie Perfect for Mary. 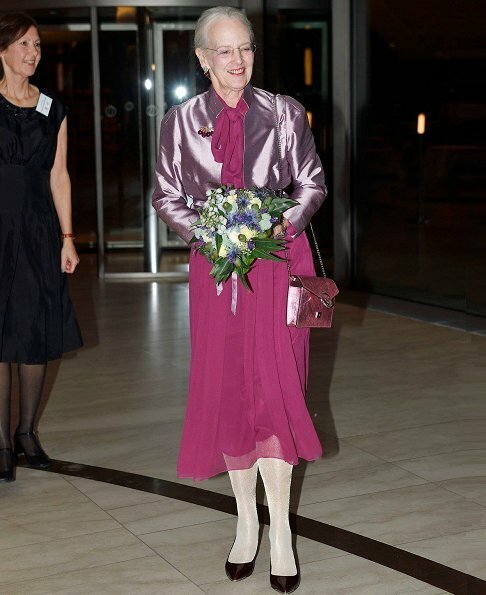 I think Princess Benedikte looks the best. Don't love the Queen's ensemble and hate the shiny white tights. 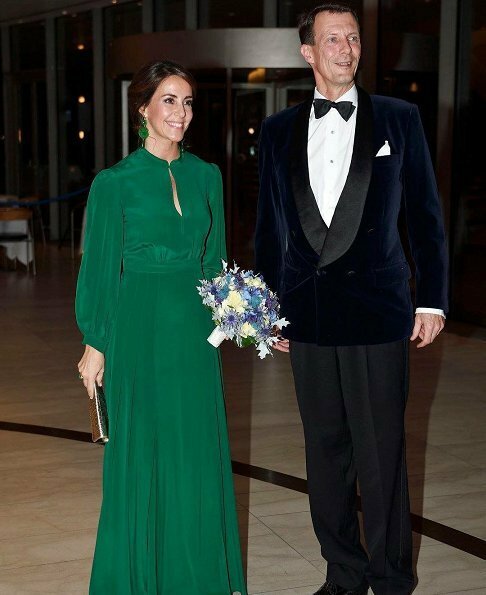 I like the colour of Mary's dress and the neckline but style and shiny material not so much. Personally, I think Marie's dress is too long here - nobody else is wearing full length, if it were like the model's version it would be better for this occasion. The shade of green is very nice on her.